We understand that after the passing of a loved one, the shock and grief of those left behind can be overwhelming. If the passing was sudden and funeral arrangements had not been solidified, it is up to the family to carry out an appropriate service. Plans for a fitting memorial and decisions about how to lay their loved one to rest are our specialty. Fremont Memorial Chapel provides a full range of funeral services near Milpitas CA. We are the Rose family, and we own two funeral homes in nearby Fremont CA, and we welcome you to our website. 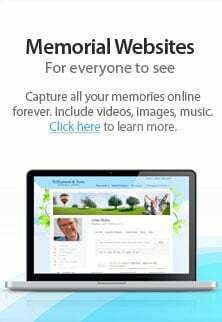 It is our hope that this website can provide you all the resources you may need to begin making funeral arrangements. We are a proud family operated business serving residents in the Milpitas CA area for many years with quality Funeral Services and Cremation. Whether you are merely planning ahead or have experienced a recent unfortunate loss, we will cater to any need you may have. It is our philosophy to treat everyone that walks through our doors as family. At Fremont Memorial Chapel, we offer a wide range of funeral services such as traditional graveside burial, prearranged funerals, and cremation. We accommodate all religious denominations, as well as Honor Services for Veterans. In the spirit of Life Celebrations, we can help you create a unique, meaningful ceremony in a way that will honor the individual personality of the departed. Entrusting us with helping your family is not taken lightly and we consider it a privilege and honor. At Fremont Memorial Chapel, we encourage families to establish Pre-Payment plans with us. Setting funds aside for a planned funeral service removes the financial burden on your family. With our pre-payment plans, you can get everything squared away by whatever means suits you at the rate of the current market place. It is our sworn duty to make the funeral arrangement process as easy as possible for as many Milpitas CA residents as possible. Should you need our services, please do not hesitate to give us a call.